Cerebro has been stolen - and the trail points directly at the government's premier think tank, the Baxter Building! 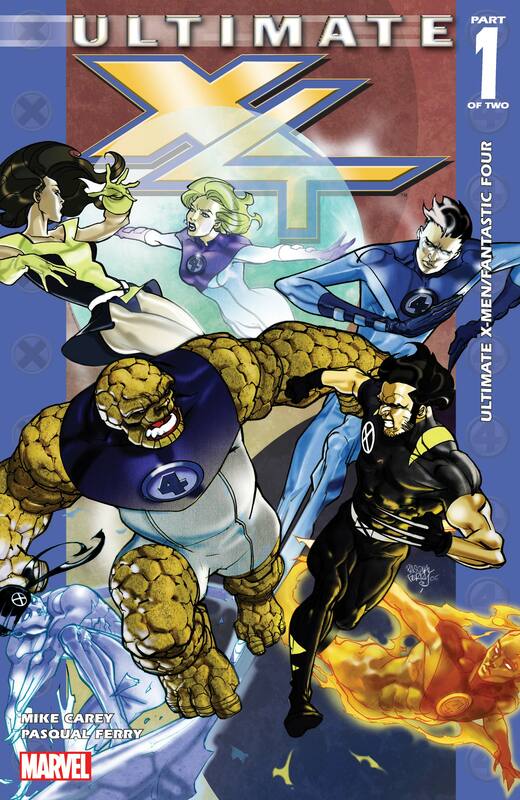 The X-Men aren't happy about it - and the Baxter Building's most famous residents, the Fantastic Four, aren't happy about an angry team of mutants showing up on their doorstep! 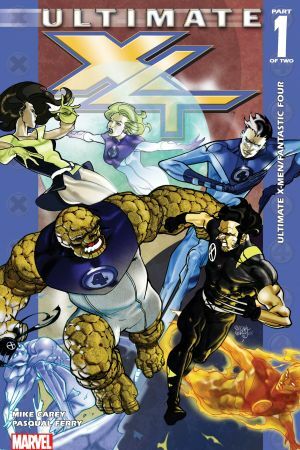 It's FF versus X-Men in an all-star blowout as ULTIMATE FANTASTIC FOUR's Mike Cary is joined by superstar artist Pasqual Ferry for this tour de force of Ultimate action! 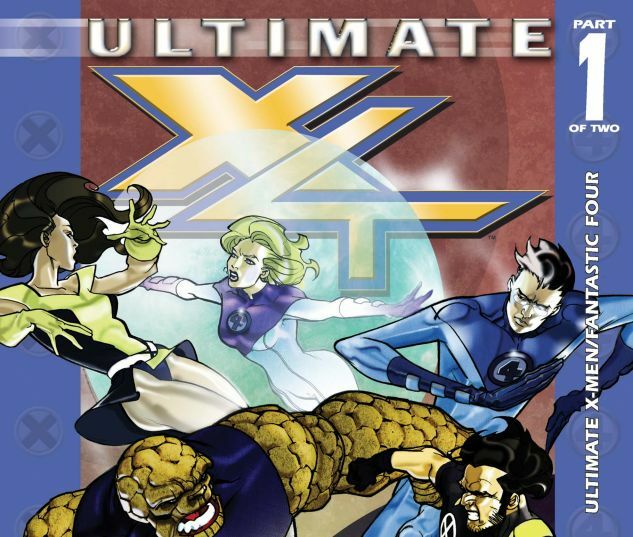 Plus: in-depth bios on the Ultimate X-Men, the Ultimate Fantastic Four, the Ultimates and Ultimate Spider-Man! 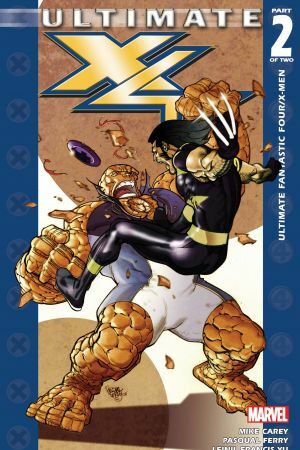 Collects ULTIMATE X-MEN/FANTASTIC FOUR, ULTIMATE FANTASTIC FOUR/X-MEN and the OFFICIAL HANDBOOK OF THE ULTIMATE MARVEL UNIVERSE 2005 #1-2.